Elon Musk refuses to comment on subject of talks, but says the sale of the firm is "unlikely"
Tesla chief executive Elon Musk has quashed rumours that Apple has spoken to him about acquiring the electric car maker. Reports emerged earlier this week that both Apple's chief of acquisitions and mergers and chief executive Tim Cook had met with Musk. The presence of M&A boss Adrian Perica drove speculation that the meetings were about more than just integrating iOS and Siri into Tesla's cars. In a televisison interview with Bloomberg, Musk admitted that he had met with Apple and “had conversations” with the company. He said that while he couldn't “comment on whether those [meetings] revolved around any acquisition”, he said such a move was “unlikely”. Musk said that he and Tesla was too focused on creating a “compelling mass-market electric car” for him to put the company up for sale. However, he did say that he was open to discussions with other companies if they came to him with like minded ideas, but that he doesn't “currently see any scenario that would improve that possibility”. Musk did say that he could see the firm integrating support for iOS or rival Google's Android. 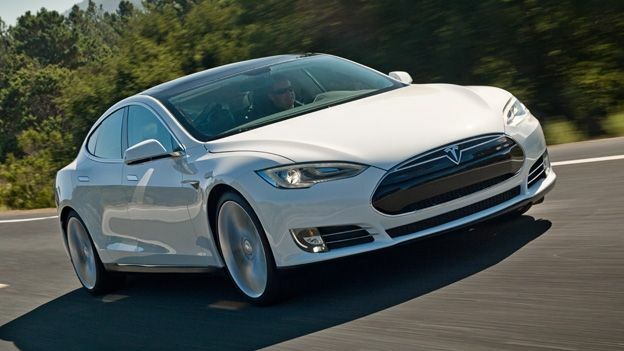 However, he said that they were “peripheral to the fundamental goal of Tesla”. News of the meetings broke on Sunday. At the time it wasn't clear when they had taken place. It later emerged that they had taken place in spring of 2013.